Shoppers have taken to social media to complain about sudden changes to Freeview shopping channel Rocks & Co. Shortly before Christmas, the channel's parent company axed UK-based presentation and is now taking programming from German teleshopping channel Juwelo, including content in German with an English voiceover. 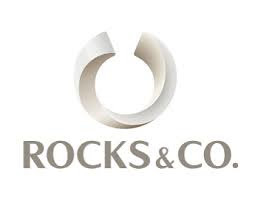 Previously, Rocks & Co had been broadcast from studios in Birmingham. The channel is distributed on Freeview channel 40 (some areas / receivers only) and 270 (internet stream) as well as on satellite. The move has gone down badly with viewers of the channel, with one social media commentator posting the move made the channel appear "unprofessional". Others complained that the channel was offering products from its German channel at an effective exchange rate of €1 : £1, despite the current main exchange rate hovering around €1.12 for £1. Meanwhile, user ratings for the company on reviews website TrustPilot have slid since the change, with one shopper saying they had been told to re-register on the German ordering system to make purchases. Given the backlash from viewers, it's unclear how long this approach to broadcasting will last. If it fails, there would be substantial interest in the channel's desirable Freeview channel number following a loosening of channel allocation rules in 2017.